Another cool location in Branson is The Track Family Fun Parks. 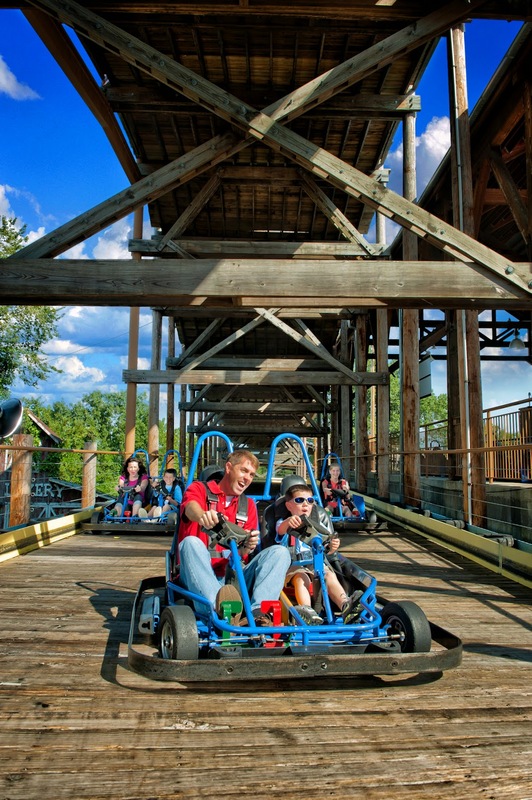 We are going there and plan on spending some time on the Go Karts. I know it'll be a lot of fun! There is a variety of different tracks that you can pick from. The Tracks are called: The Sprint Track, The Lumber Jack, Road Course Track, Wild Woody, and Heavy Metal High Rise. Each one is really unique and has their own special features. Such as some of them have awesome High-Rise Go Karting Features. For example, the Wild Woody, is four stories tall, and looks (and feels) like an over sized roller coaster! You ride the go karts, up, down, through twists and turns while on this track, and the view is amazing. Or the Lumber Jack, which is the original wooden high rise track in Branson. It is 3 stories tall and was converted from an old mini-golf course! We can’t wait to go go karting on some of these tracks while we’re there. Although we are only planning on go karting at the Track Family Fun Parks they have a lot of other activities there too. 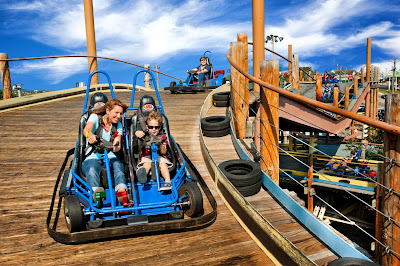 Such as Bumper Rides - they have a few rides like this where you are on little boats and can bump each other. They even have one where you can soak others too. There is also a SkyCoaster ride that looks awesome! You can have fun at the batting cages, mini golf and so much more while you're there - everything looks so much fun! But with so much to see and do, we're making a quick stop here this time, to ride the karts! Sounds like there are a lot of options for a fun day. Enjoy! yes, and as long as we have the sun out and shining we'll be set!